Stock # PEC82343, Intercooled Turbo Diesel V-8 6.7 L/406, Automatic, 28837 mi. ONLY 28,812 Miles! Tow Hitch, Turbo, 4x4, ELECTRONIC LOCKING W/3.55 AXLE RATIO, TRANSMISSION: TORQSHIFT 6-SPEED AUTO.. WHEELS: 17 ARGENT PAINTED STEEL, ENGINE: 6.7L POWER STROKE V8 TURBO DI... READ MORE! 4x4, Trailer Hitch. Electronic Stability Control, Brake Assist, 4-Wheel ABS, Vinyl Seats, 4-Wheel Disc Brakes. ENGINE: 6.7L POWER STROKE V8 TURBO DIESEL B20 4 valve OHV, manual push-button engine-exhaust braking, turbo gauges and intelligent oil-life monitor, 3.31 Axle Ratio, 26 Gallon Fuel Tank, Dual 78-AH 750 CCA Batteries, ELECTRONIC LOCKING W/3.55 AXLE RATIO, TRANSMISSION: TORQSHIFT 6-SPEED AUTO W/OD (6.7L) SelectShift, WHEELS: 17 ARGENT PAINTED STEEL painted hub covers/center ornaments (STD). 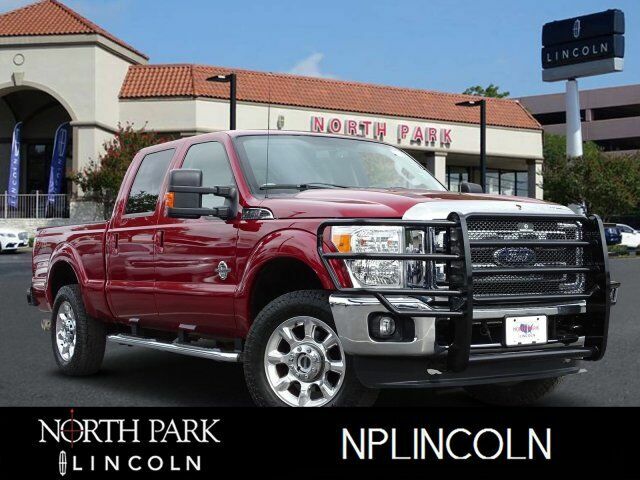 2016 Ford Super Duty F-250 Pickup with Race Red exterior and Steel interior features a 8 Cylinder Engine with 440 HP at 2800 RPM*.